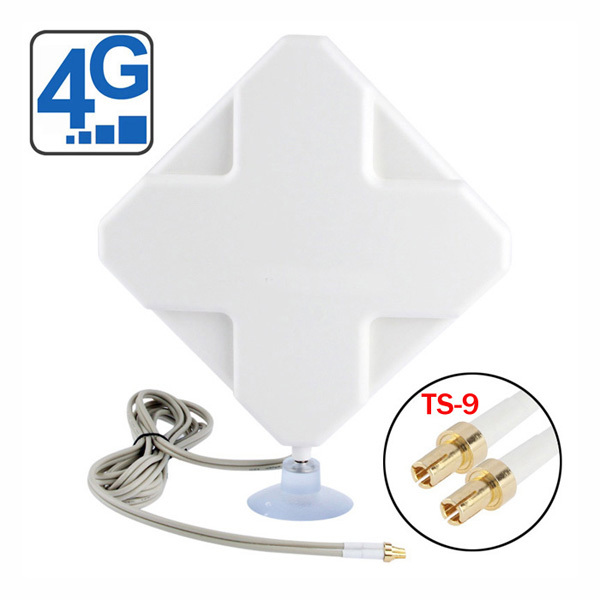 If we talk about 4G router, you may think of a 3G wireless router with external antennas or other features. Today, we will offer a presentation of a LTE router which doesn’t look like a common router but very special and beautiful! 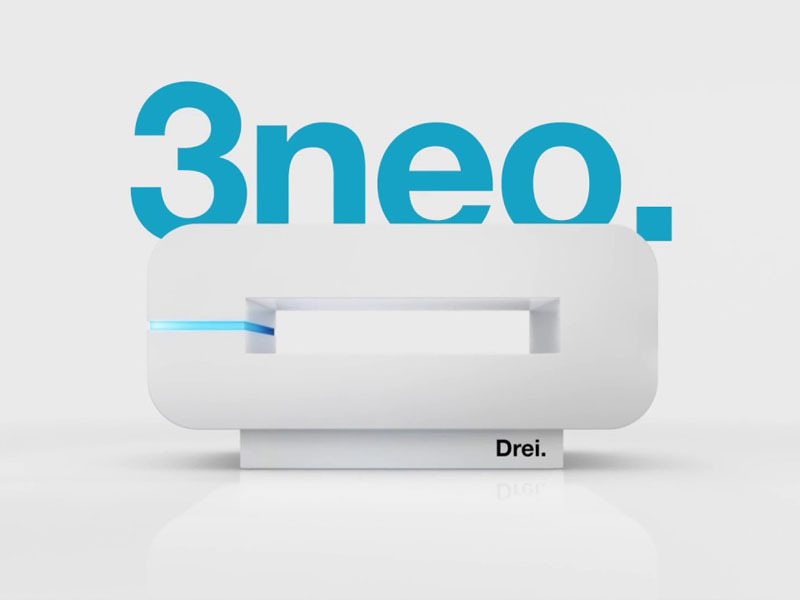 The Austrian telecommunications operator “3” makes the router available to its subscriber’s package named it as “3neo“. Actually, it’s from the Chinese manufacturer ZTE and the model number is MF287. This 3neo MF287 router is a LTE category 6 device that allows download speeds of 300 Mbps and uploads of 50 Mbps. At this time, this router is exclusively marketed by operator 3 and, in fact, the wireless router is simlocked on its networks. However, it can be expected that it will soon be marketed directly by ZTE. Aesthetically speaking, the router has a wide band of light on the left side that displays the status of the device and on top side, a LED that tells you the type of active connection. * The supplied 12V 1.5A power port. Regarding the power supply, as you can see, this is a 12 volt source for 1.5 amps, which makes the ZTE MF287 3Neo router can work in a vehicle. 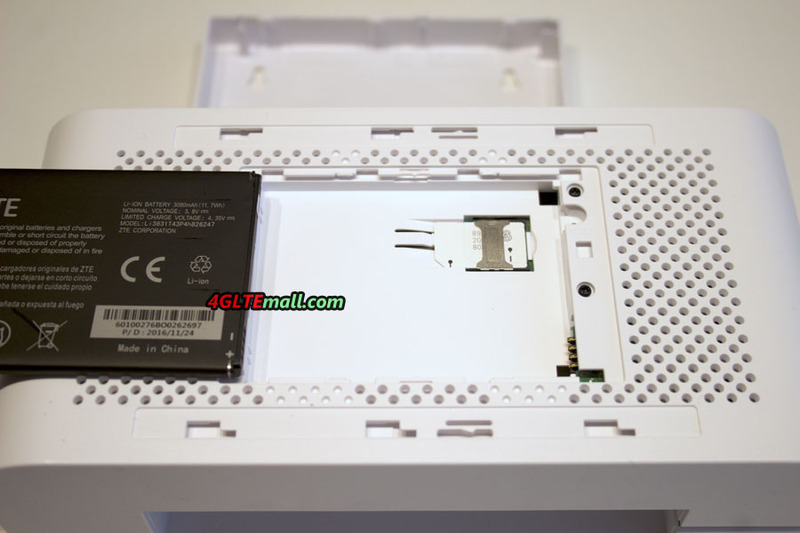 What’s more, unlike other LTE category 6 router such as Huawei E5175, this router features an internal removable battery. This 3,080 mAh Li-ion battery allows the router to run independently for up to 5 hours of operation. So user can take the 3NEO Router on the go for outdoor activities. The dimensions of 3Neo ZTE MF287 are 220 x 110 x 106 mm with a weight of 730g. It is a portable network solution for weekend or camping and is subject to recharge via a cigarette lighter socket. Finally, you will find the location of the SIM card in micro format under the battery. On the WiFi side, the 3neo has the WLAN feature of 802.11a/b/g/n/ac with the dual band in 2.4 & 5 GHz. 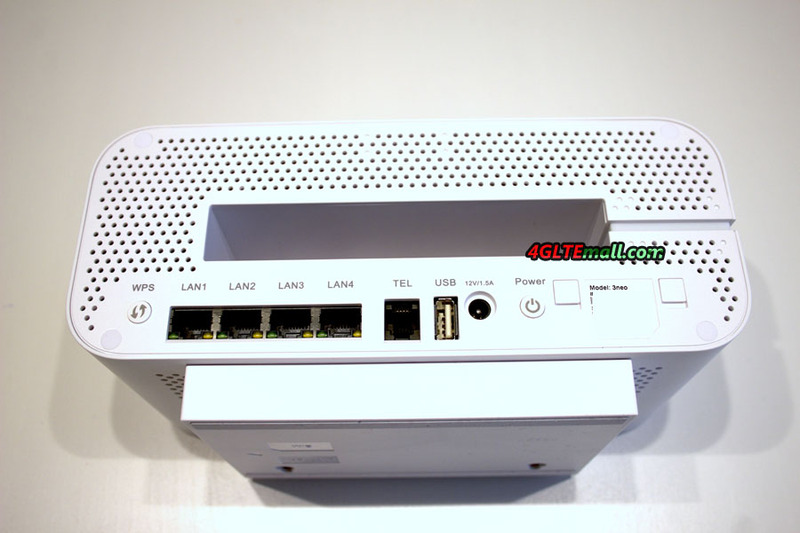 The 3Neo router accepts the connection of up to 64 users. The similar LTE Category 6 router Huawei E5186 could also supports same quantity of users. 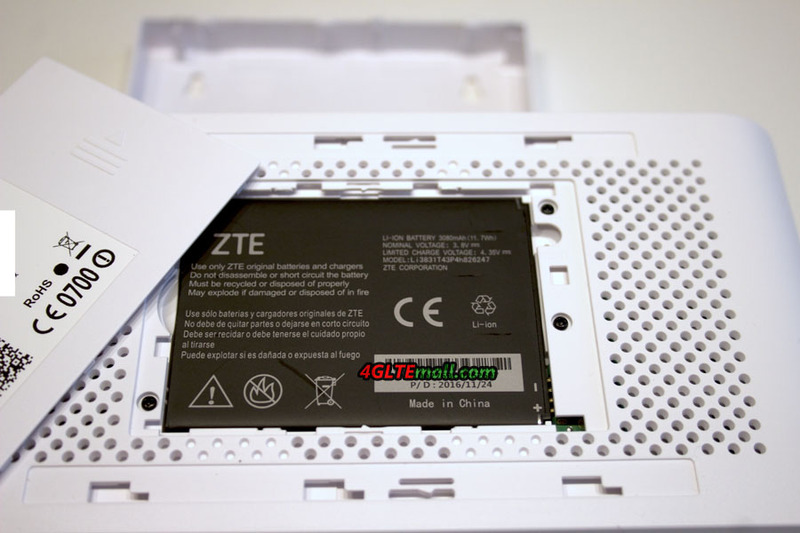 The ZTE MF287 can also support 3G and 2G networks if 4G/LTE network is not available. The 3neo router interface offering the features of DMZ, Port forwarding, Firewall, DHCP services with filtering, network selection and setting of the APN. However, the function of bridge mode is not supported. At this time, we do not have accurate information about the support LTE bands and the aggregated frequency. However, Austria uses the same 4G bands as France, at least band 3 (1800), 7 (2600) and 20 (800), and operator “3” uses B3 & B7. And we suppose the cat6 aggregate is done in band 3 + 7. But this need re-confirm. Finally, user can control the ZTE MF287 router with the 3 home application on your smartphone, after flashing the QR code located on the router. We would take further test after getting the ZTE MF287 in hand. If you can’t wait to get a new LTE cat.6 router, you may try Huawei E5186 or latest Huawei B618 LTE Router.